Expired 5mo ago . Last validated 5mo ago . Used 10 times. Gabriela Brito I am re-activating this expired deal. 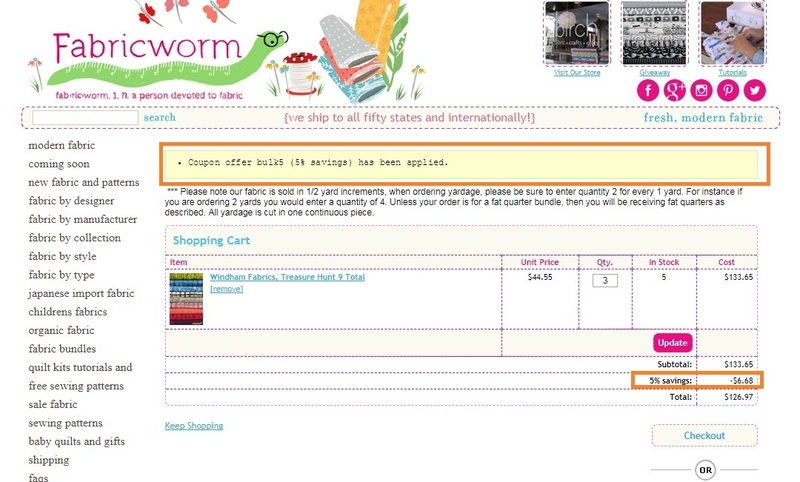 I verify and it works correctly as described, Simply enter the promotional code bulk5 and enjoy 5% off on your order when you spend $100. Leng-Leng As of 2/26/18, I tested this promo code and verified that it works as described. Exclusions apply. 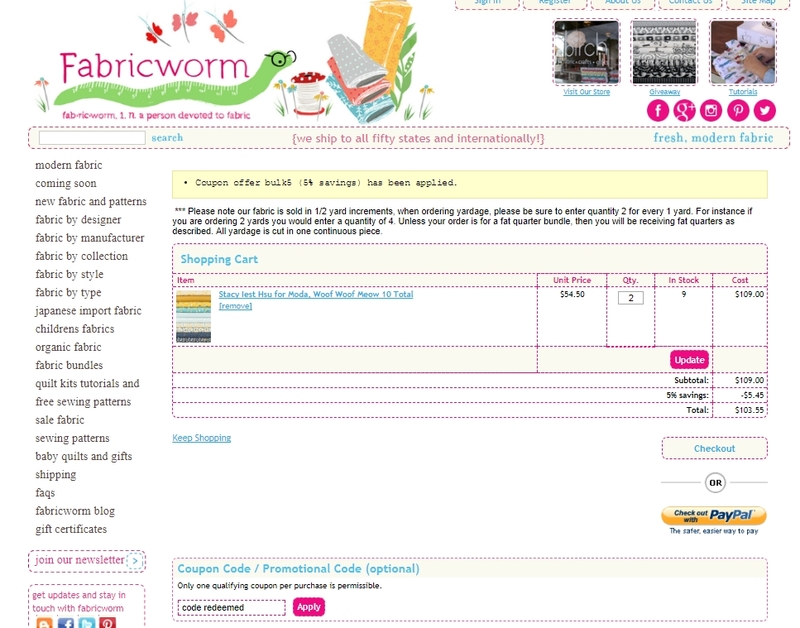 THOMAS BROWN Get 5% Off Orders of $100+ at Fabricworm (Site-wide). 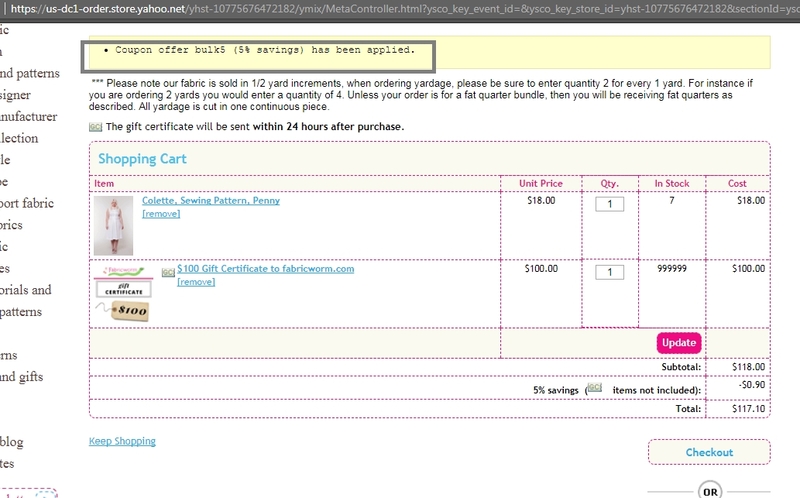 Just enter this code at checkout to apply the discount. There may be some exclusions that will apply to this deal. 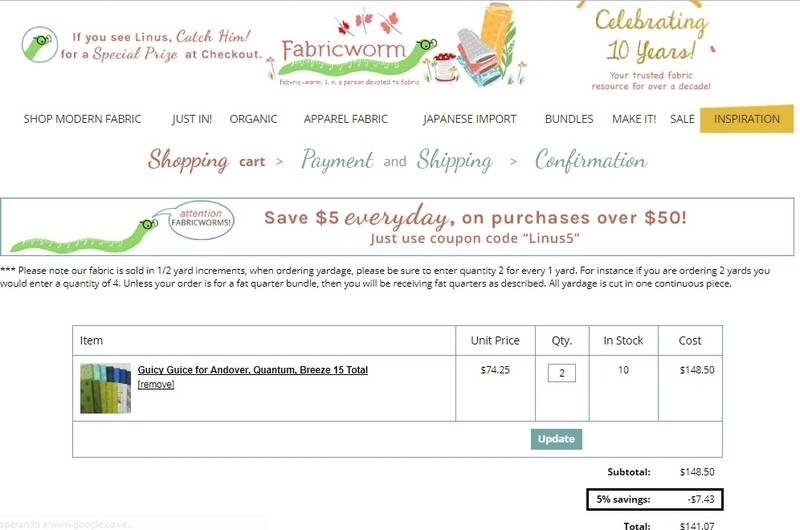 Maikel Haier Salon This great deal is working as described, go to the store, add your items to the cart, use the coupon and get 5% Off Orders of $100+ at Fabricworm.